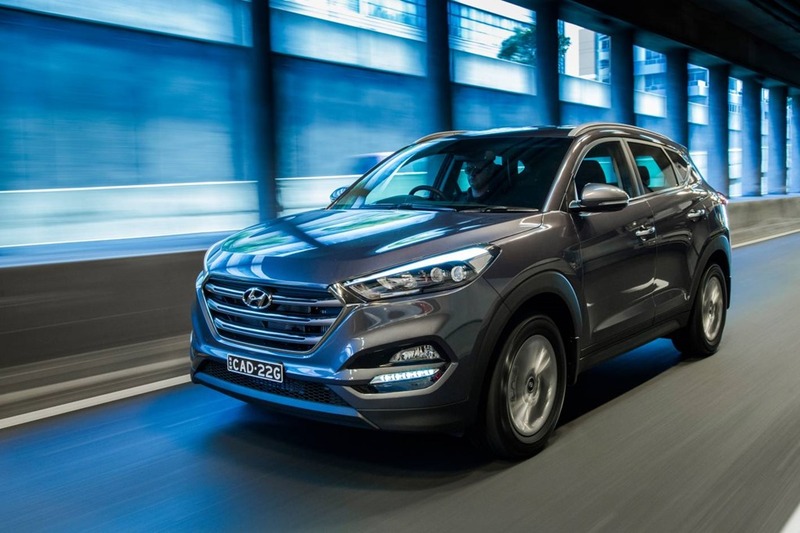 Brilliant Hyundai Tucson Elite: how do they do it for the price? I’m puzzled by the continued growth of SUVs which now outnumber passenger cars. The buyer profile is: anyone who wants lots of space. Most of you probably won’t need 7 seats but if you do, you’ll need to get the slightly bigger SantaFe. Meanwhile, Tuscan feels and looks sexily compact. The exterior is handsome. There are a lot of character lines going on, but most notable is the coupe-like arrangement of windows. Apparently, this is now a thing. The trend is to make SUVs take on the traits of a coupe-on-steroids. The Hyundai group head designer is Peter Schreyer from Germany, who once worked for Audi. It is no accident then, that Hyundai and Kia has taken a Euro look in Korea. Our Elite gets auto leveling LED headlights with static LED turning lights. When you turn the steering wheel, the side lights come on to light your way. It’s slightly less complex than having the whole headlight turn with the wheel like in the Ford Mondeo. The daytime running lights give the front end a classy look you once only got in expensive Europeans. Of course, DTRLs are not a new thing. Volvo had them 40 years ago, but the advent of LED lighting put extra brightness in a light cluster that is also a must-have safety feature. They’re so bright, that you no longer need to turn on headlights on a rainy day. I’ve also found them invaluable in fog, being better than dedicated fog lamps in many cases. They don’t reflect off fog the way some headlights do. The rear tail lights have a similar treatment, but only the top model Highlander gets the full LED shebang. While around the back, let’s talk about the back door. 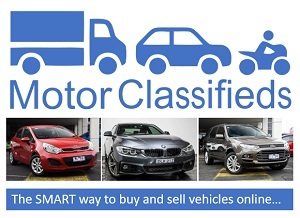 The tail gate on the top models has “smart” operation which blitzes much of the rest of the market. Many cars have “gesture” tailgates and boot lids, but getting them to work requires the use of a lucky 10 year old, otherwise it is hit and miss. You need to wave a leg, or arm, and it rarely works. Hyundai has a better system that works every time, even with a armfull of bags. As long as the key is in your pocket, standing behind, lets the car know you’re there. After a few beeps, the tailgate swings up without unlocking the rest of the doors. Once your bags are inside, you press the button on the bottom edge of the tailgate to close. You can also operate it from the driver’s seat, and the key fob. Inside, although the cabin looks fab, and is nicely laid out, though I’m not fond of some of the plastic surfaces. Having said that, there is a premium look and feel you might be surprised to see. Even better are the easy to use controls. 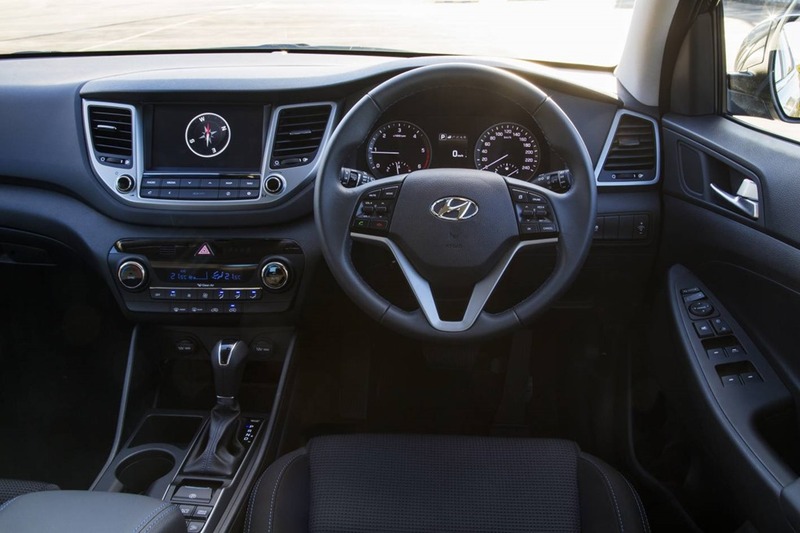 Like most other brands, the “settings” are split between the driver’s instruments, and the centre stack’s LCD screen. It drives me potty. Why can’t all settings be in the one place? Very few of them need to be fettled while on the move, so don’t need to be in front of the driver. We all learnt that lesson from BMW’s first attempt at iDrive which we all hated, and now can’t live without. Here is one bit of madness I just don’t understand: The bottom models get Apple CarPlay with the 7” screen, but the top models make do just with SatNav on the 8” screen. Smart phone maps are updated every few weeks while SatNav only comes with 3 years’ worth of updates. Why? Unofficially, I understand CarPaly will be a standard feature fleet-wide as the models are renewed, and can’t come soon enough. Anyone with a smart phone has their lives transformed by the hands-free operation afforded by AppleCarplay/Android Auto. You can press the voice button and command the system to play your favourite tracks, navigate to a place, find a fuel station, or search the interwebz. Someone needs a severe talking to over at Hyundai HQ. The sound system is not too shabby when the bass/treble set at “0”. It becomes a bit “boomy” if you turn the Bass up too much. There as a mind-bending range of driveline/trim options. There are 4 engines, 2 fuel types, a 6 speed manual, or a 6 speed auto or 7 speed double clutch “automatic”, and a choice of front, or All Wheel Drive. The trim level determines which of the choices you get. Our Elite is AWD and has a 1.6L, 130KW/265Nm, Petrol 4 cylinder with a twin scroll turbo. The range is stupidly complex. It seems ridiculous to have both a 7speed DCT and a 6 speed auto, but to also have 4 engine options seems excessive, but such is life. The power ranges between 114kw, and 136 kw, but the torque ranges from 192Nm on the base model, to 400Nm. For the record, our 1.6L 130kw unit was brilliant. The range could easily be limited to, 3 trim levels with: 2WD only on the base model, and AWD on the rest. The petrol 1.6 or Diesel 2.0 are sufficient, and 6 speed manual or 7 speed DCT could be available all models, job done. The safety gear is impressive. All models get reverse sensors and a camera with guidelines. The highlander also gets: lane keep assist and departure warning, blind spot warning, rear cross traffic alert, and autonomous emergency braking. There are 6 airbags with roll-over sensor, and of course the stability controls are extensive. It is this system that also provides Hill start assist, and downhill assist on all models. The only thing missing is an “active” option for the cruise control that keeps you a set distance from cars in front, but you can’t have everything. Tucson is easy to throw into corners, and although there is much less body roll than I expected, the steering lacked a bit feeling. All electric power steering simulates road feel, and its calibration depends on the bit rate of the computer which controls it. Local tuners do what they can, but the Koreans are fond of American-style super light steering. This is great at parking speeds but is hard to get right anywhere else. Porsche has done a brilliant job of simulating road feel getting the ratio between assistance and resistance just right. Of course, a Porker costs many more shekels. There is a ton of room in the back for regular size freeloaders. However, the front seats need to be set a bit higher if they want to slip their tootsies underneath for extra legroom. The boot is spacious with 488 / 1,478 Litres, and underfloor bins. We stashed 4 adults with 4 carry-on bags, and a bunch of sundry flotsam in without feeling cramped. If you spin the 1.6 out, it feels silky with little vibration. 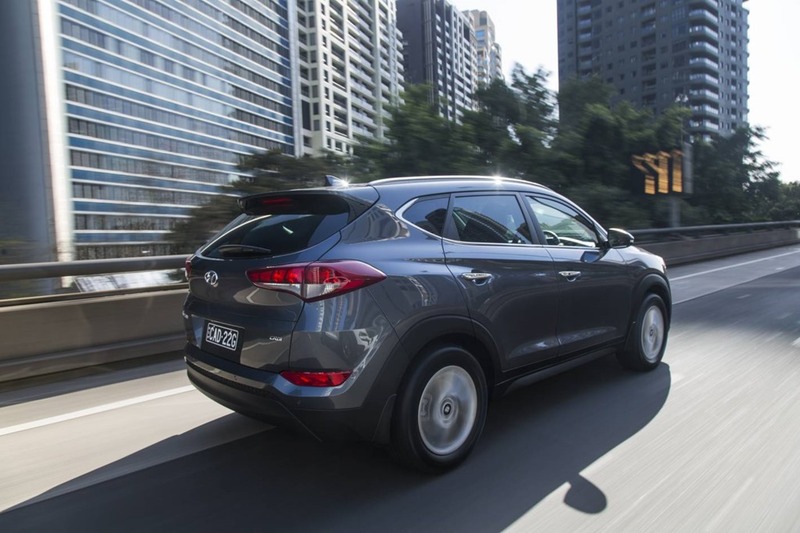 Although our tests didn’t cover quite as many K’s as I’d have liked, the Tucson was willing in a fun kind of way. As is my want, I could imagine doing a long trip in comfort. Conclusion: The infotainment system could use some “preset” buttons. I like being able to directly select stations without having to scroll through using a knob, or the steering wheel buttons. Apart from the few little niggles I’ve already mentioned, the Tucson is brilliant. It is a pleasure to drive, economical, nippy and feature packed. Offers currently have an entry level Active starting at $27,990 and a special 30th anniversary Tuscon at $36,990. Yes, Hyundai has been in Australia for 30 years and is no longer the cheap and cheerful entry level brand of old. In short, I loved it. 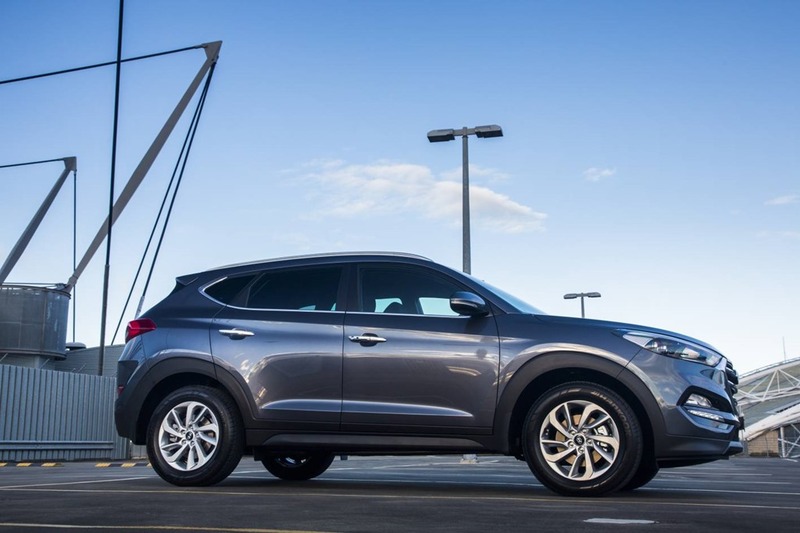 Tucson goes a long way to explaining Hyundai’s rise into the Australian Top Ten car makers. Now that Australian manufacturing is all but a memory, Toyota had better keep an eye out of it doesn’t want to be knocked off its lofty no. 1 perch. Is Tucson aspirational? Maybe. Practical? Absolutely. Value packed? Definitely. Only a badge snob wouldn’t have Hyundai on their shipping list. Would I buy one? Yes, without doubt. However, I might be torn between Tucson, and the fabulous SantaFe SR.